With real life demons and spirits, the world is just their playground as they seek destruction upon the human race. 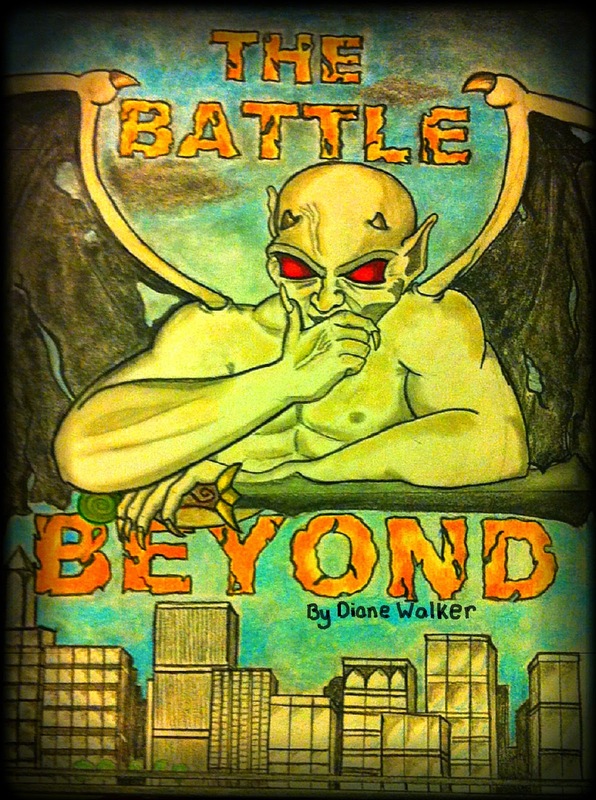 The Battle Beyond by Diane Walker speaks of the battle between good and evil. With political and religious overtones, intertwining faith, the Scriptures and the spiritual realm, the author writes an unforgettable drama. One that has been unfolding since the beginning of time – the battle between good and evil. Giving insight into the reality of the unseen realm, the author presents a real life scenario that reveals the never ending battle over the souls of men and women in the 21st century. The stakes are high and one of global consequences. Tom and Hannah Stevens are husband and wife. Deeply committed to each other they embark on a journey that will change their lives forever. With fast paced action, the author captivates readers with an intriguing look into the inner workings of darkness, revealing the power behind spiritual warfare that wreak havoc upon the inhabitants of this place we call, Earth. The President's right-hand man, personal assistant and close friend is planning an agenda. One that will change the rules if successful, along with assuring the President's reincarnation as a viable choice for the presidency seat. The plan is one of global repercussions and if it fails, the whole world will be affected. The stakes are high; and Tom is his only roadblock (or so he thinks) in this Christian fiction novel. Oil, politics, popularity and hidden agendas accompany this Christian fiction novel. Unveiling faith in Jesus Christ, Tom seeks refuge in his family and solace in his faith. Revealing a riveting battle between darkness and light, faith is tested for Tom. Beyond the physical realm, the author offers a drama that will intrigue and challenge one's beliefs in the world beyond the visual. You will not be able to put this one down. A highly recommended read! You can get your copy at Amazon, in Kindle Edition, at Barnes and Noble and other fine online bookstores.